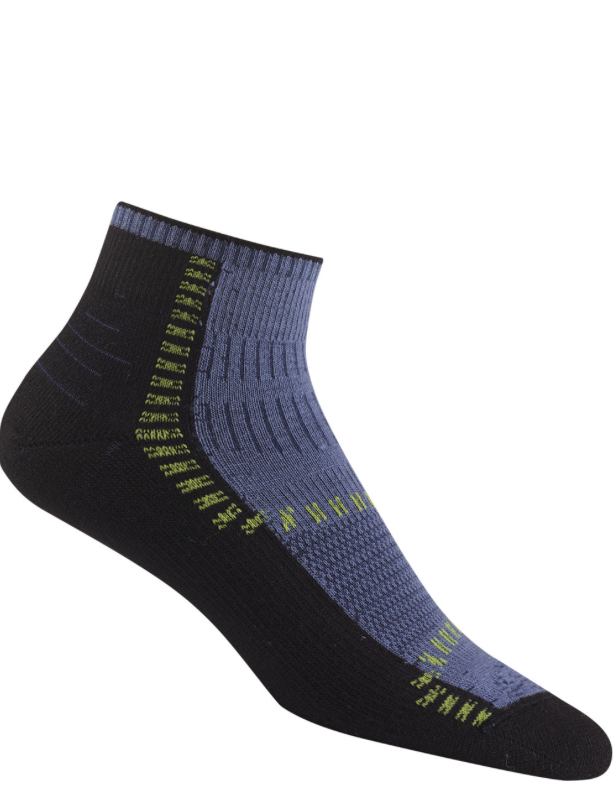 When conditions are cold and sweating feet is not an issue I will shift from the Wigwam Cool lite Hiker Pro socks to the Wigwam Trail Trax Pros. 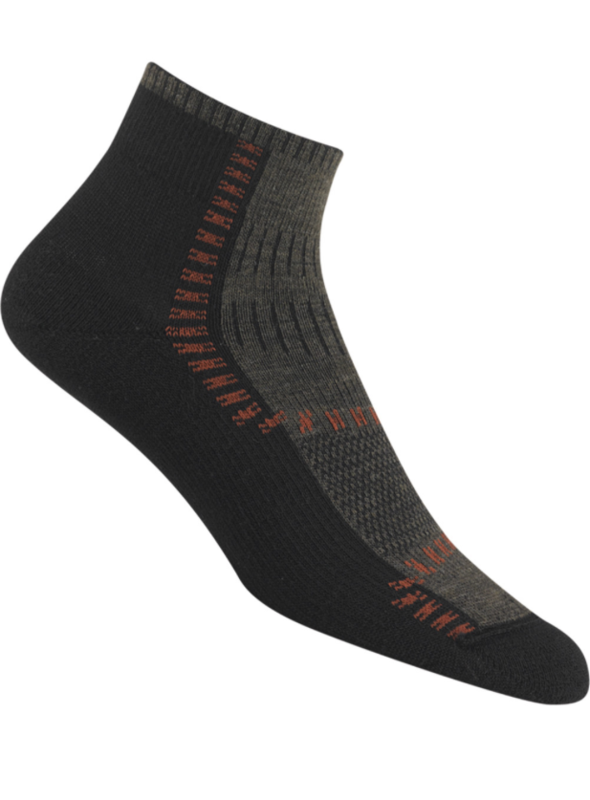 The Trail Trax Pros go from being a full synthetic sock to one that contains a mix of wool to increase the padding in the sock as well as the warmth factor. As someone who has a high tolerance to cold I find that the Trail Trax Pros too warm during the hotter months. 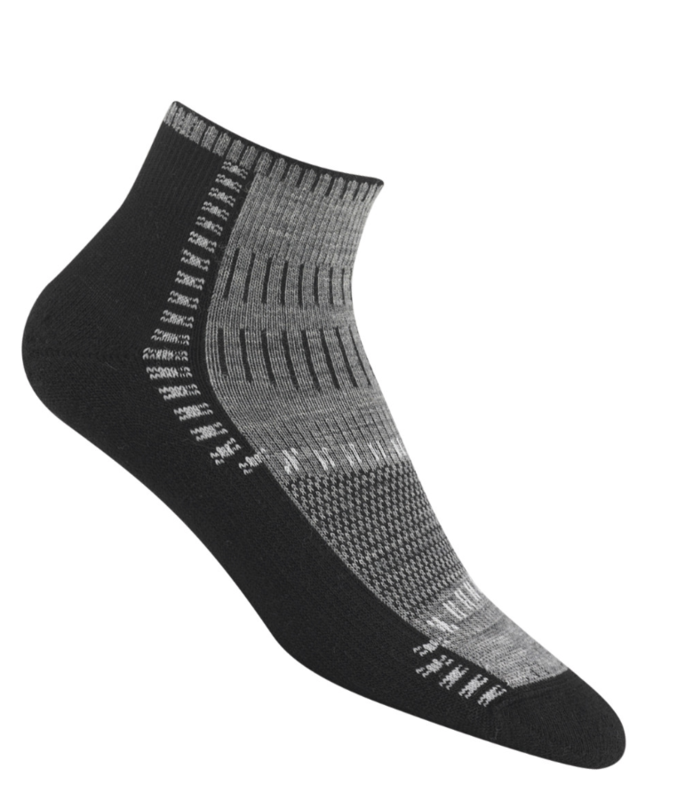 In picking up the additional warmth these socks loose breathability which is why they score the same as the the lighter Wigwam Cool lite Hiker Pro socks, but for different reasons trading warmth for breathability which won’t be a problem in cold weather. The sock is readily available but only in a ‘quarter length’ and comes in a range of darker colours that may suit some people particularly if hiking in muddier conditions. These socks are a synthetic and wool blend and have a seamless toe which means they are very comfortable. Being a thick sock they can take longer to dry so if using these particularly in the colder months I carry three pairs to ensure I always have a dry pair. These socks will last me about 300-400 km of hard wet trail conditions.